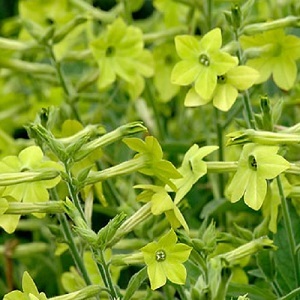 Nicotiana ‘Lime Green’ is a heritage variety of Tobacco Plant with wiry stems, topped with amass of lime green trumpet shaped flowers from June/July to the first frost. Plants grow to a not-too-tall 1m, looking good in borders and larger pots, and mixing well with a wide range of flower colours. Plants have an attractive scent at dusk and make good cut flowers. Nicotiana ‘Lime Green’ grows best in full sun to part shade and rich well drained soil. Pack of approx 1000 seeds. Sow in spring, indoors or in late spring directly in the soil. Sowing instructions and a colour photo are printed on the packet. Caution: Plants are harmful if eaten. Sow Sow in spring. Sow from February to May, in trays of moist seed compost. Cover lightly with compost and do not exclude light. Keep at 18-25°C and germination takes 1-3 weeks. Transplant seedlings into pots when they are big enough to handle. Plant out into the garden after the last frost and keep well watered until the plants are established. 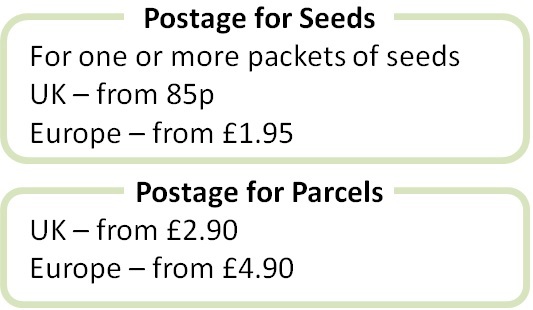 Seeds can be sown directly into the garden in May. Grow Deadhead to encourage flowers. Remove plants in the autumn when they have finished flowering. In warmer Mediterranean gardens, these plants may survive the winter and flower again in following years. Plants may need staking in more exposed gardens.